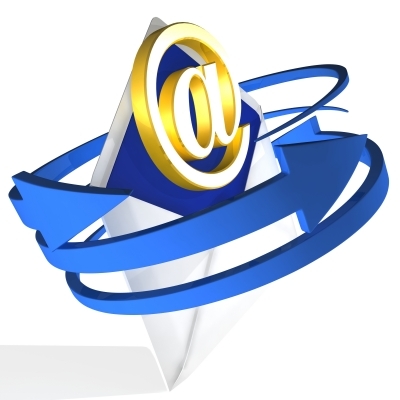 What is the etiquette around forwarding email messages? You know why you are forwarding the email but I bet the person you are sending it to likely doesn’t. And they have 100 other email to read and 25 projects to complete. Yup, they are busy… just like you. This is so inefficient… and think about what you are doing to your own professional reputation. Are you demonstrating you are a team player; are you demonstrating you are polite and self-aware??? Or are you demonstrating you are an _ _ _. 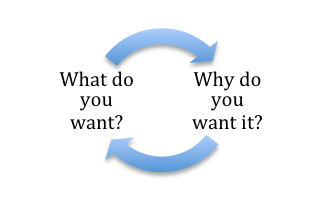 What is the reputation you want… because you have a choice? #1. Tell the recipient why you are forwarding the email to them. Give them an action item. If there are three questions in the original email that need answers then copy and paste those three questions into your action item. When you take 1 minute to type out an action item you will save your reader lots of time. And, you will probably get exactly what you want from them… quickly… on time. #2. Be careful. Are there email addresses in the original message you should remove? Privacy is critical. It is something I stress in my email etiquette training workshops If you are forwarding an email IT IS YOUR RESPONSIBILITY to keep email addresses private. If someone showed poor etiquette and exposed you to email addresses you should not have – that is bad on them. If you keep forwarding those addresses it’s now bad on you. This is especially important if you are sharing that email with an external support or service provider. If you don’t have direct consent – you are putting yourself and your company at risk. Mention in your introduction you are forwarding an email. I know – it may seem obvious to you, but if the person is on a smartphone at an airport, or their child is sick – they may have other things on their mind. If you are forwarding to more than one person, address the forwarded email to YOU and put everyone else in the Bcc: field. Again, this is especially important if you are forwarding to people outside of your company. You have to protect privacy and email addresses. Try to clean up (delete), some of the large spaces between email. Make it easy for the person you are forwarding the email to. Your brand and your time are valuable, so protect both while also helping out your readers. Always follow these simple tips when forwarding email… and share these email etiquette training tips with your peers. Happy communicating and forwarding email. Digital etiquette are guidelines on how to use the internet to increase engagement, productivity while not annoying people. 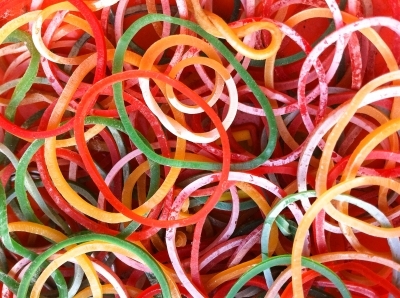 In other words, how office etiquette can build – not hurt your reputation. As with face-to-face communication, one of the best things to remember when considering digital etiquette is there is a real person receiving your message. This means they have their own needs, pressures, time constraints and frustrations… just like you. So, communicate with them with patience and thoughtfulness just like you want others to use when they communicate with you. Digital etiquette protects your reputation and by extension is important for your productivity. If people see that you demonstrate respectful and trustworthy behaviours, they will not only want to work with you – they will go out of their way to work with you. Digital etiquette will also increases the chances that people will give you the information you need when you need it and therefore improving your productivity even further. You don’t want to be the person / company that sends a client an email with a virus. Even if you are lucky and their system catches it before it does harm, you will have lost personal and professional trust – maybe so badly you may lose the relationship (especially if it did infect their system). Digital etiquette when it comes to computer viruses is very important because the result can be very costly in many ways. If your office uses PowerPoint for presentations, don’t begin to use another package. You may be more familiar with the another package and perhaps it does have more flexibility… but by using it your co-workers may see you as arrogant. Also, your fantastic presentation may not get seen if your associates and/or clients don’t have the software needed to run it. If you feel strongly that the company would be better off with different / new technology, follow smart office etiquette by submitting to your executive team asking for approval. That’s how you get a reputation as a visionary not a trouble maker. One of the most important business email etiquette best practices is to not use email. It is often better to use the phone (or walk down the hall), especially if you have complicated things to discuss. Phone calls and face-to-face are also much better ways to build personal relationships. In urgent situations, phone calls or face-to-face is also better. I recommend sending an email and phoning; this way email is a great back-up because they may see it if they are in a meeting – and therefore can step out of the meeting. Email comes in 7/24 and if you have all of your alerts on it’s very tempting to interrupt what you are doing and look/answer. That is a hugh negative impact on your productivity (and perhaps relationships). Another email etiquette best practice is to turn off your personal email notifications. My recommendation is to only check email a few times per day (I know – easier said than done). The objective is to plan on spending a few hours each day (especially in the morning), without email or phone notifications so you can focus on your Important Work. It is proven that almost everyone of use is at our strategic / intellectual best in the morning, so, the last thing you want to do is lose that brainpower responding to email. Especially if you are angry it’s important you reread; anger will come through loud and clear… and you may not want to share your anger with your clients. Doing this is a life-saver when it comes to digital etiquette and your reputation. Even when you are having a terrific day, take some time and be sure you are meeting the important objectives before you hit send. We all know that email can be a huge waste of time so I hope that these tips will help you out. 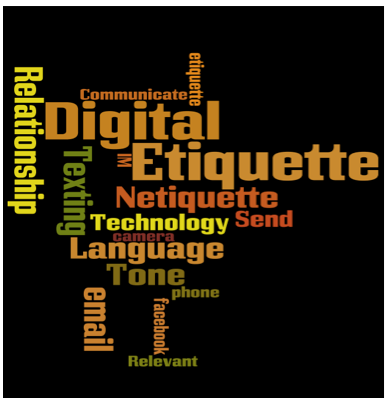 Here are a few more quick digital etiquette / business email etiquette best practices. Don’t assume the recipient knows all the details. Remember – the person you are writing to doesn’t have your knowledge or experience; so did you give them enough information… or too much? Tone can be easily misconstrued. Make sure your subject lines are relevant. Conversations about different subjects are more easily tracked when you use a relevant subject line… especially when you get email on different topics from the same person – which us common at work. Use email signatures. A great email signature has your name, title, company name and phone number. Sometimes they include a link to your company’s website, but be careful – some company servers are blocking email that have web links. Happy communicating using digital etiquette. How To Write Follow-up Email Messages? It’s Tuesday and you’ve been not-so-patiently waiting since Monday for a response you expected last Friday. What do you do? Follow-up email messages can stop the best of us in our tracks – and perhaps that’s a good thing. When we write follow-up email we often give careful thought to how we sound and what we say. Translation: most of the time we reread our follow-up email before we send them… something we should do to every email draft before we send. The careful attention we give our follow-up email is justified. The way our email is interpreted can create retaliatory friction long into our future causing passive aggressive – and not so passive aggressive delays or lack of cooperation for days, weeks or years later. Of course not following up isn’t a good option either. Fortunately there are other options. Here are two common mistakes when writing follow-up email PLUS options for what you could write. Please note: Standard email etiquette greetings and signature lines should be added to these messages. Not Great: “Based on our agreement I was expecting your feedback on Friday. It’s now Tuesday; can you confirm I’ll have it by mid-day today?” By the way – you CC’d their boss and your boss. Much Better: “This is a quick follow-up requesting your feedback regarding XYZ project. I was expecting it last Friday; please let me know if I can get it by mid-day today. I will be submitting my findings tomorrow morning and would enjoy your contribution.” By the way – you didn’t CC anyone. Whenever you write you want to try to avoid sounding abrupt or accusatory. 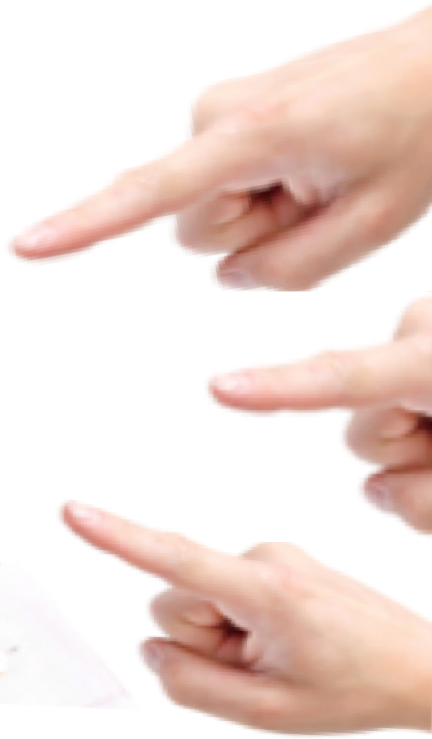 If the person may feel like you are pointing a finger at them… rewrite. The wise old idiom ‘You can catch more flies with honey than with vinegar’ holds true here. Always try to stay upbeat and positive. Let them know your timelines is a gentle way of framing up your urgency. Also, I recommend never saying ‘I know you are busy but…’ In almost every case (I cannot think of one where it doesn’t), it sounds insincere. Few employees and even fewer offices have benefited from the investment of email etiquette training… even though email is the preferred choice of business communication. Unfortunately, and as most of us have learned the hard way, the penalty of poor communication can range from an embarrassing mistake and a few hours of wasted work to potentially much worse. Even tech savvy Millennials and Generation Z who will soon account for 50% of the workforce have received little to no email etiquette training at school. So to help with this up-hill battle, I’d like to share 4 Tips from my email etiquette training workshops that are very popular. Say Hello, Good morning, Good afternoon and Good-bye. One of the most common complaints about email is that the writer is bossy or rude even though the email message was not meant to be. One of the easiest solutions to make an email sound respectful AND professional is to say Hello, Good morning, Good afternoon. When we talk face to face we never start without saying hello. Email etiquette follows the same rule. The same approach works when you close your messages. 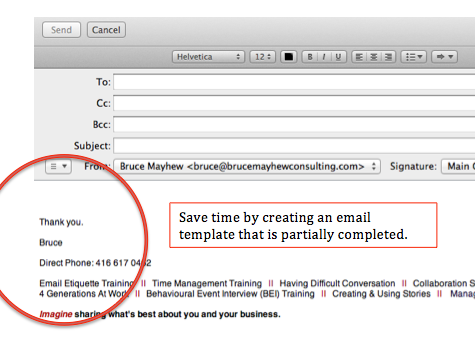 Be sure to say Good-bye, Thanks Bruce or if a very formal email use Sincerely. Be brief and choose your words carefully. Most of us are good at writing brief email (too brief sometimes), but one thing we are guilty of is not thinking about our readers needs / knowledge when we write. We don’t mean to – we’re just busy. Unfortunately, if we don’t consider our readers needs and how much experience they have, even your closest associate is going to have to make assumptions… and this opens the door for mistakes, loss of time and reputation, higher costs and many more problems. Also be careful of using jargon and acronyms as they may further frustrate your readers. Write great subject lines using 5 – 8 words. Great email subject lines will get your email noticed and answered quickly. Would you read a magazine article that had a vague title? NO! So, considering we receive approximately 100 – 250 email each day, the best way to help your readers prioritize, read and file your messages is by writing great email subject lines. Use a font and salutation that is approved by your organization. Consistency is critical to your brand and customer experience. If it wasn’t, every Tim Horton’s store would look different – but they don’t. So, make sure you’re using the preferred font, font size and font colour your company style guide outlines. Also, when it comes to your salutation follow the company style guide structure. Does the salutation include the company logo? What phone numbers should be included (some number should ALWAYS be included). With email etiquette training you can spend less time writing messages while also improving your personal and professional brand. Happy communicating and business email etiquette for your office. When we read email and text messages all day we are bound to misunderstand something. Knowing that misunderstandings are likely to happen and why are the best ways to prevent them in the first place. Email and text messages are usually really short with not enough information, (so the reader is confused), or too long with too much information, (so the reader begins to skim). Email and text messages remove soft-stimuli/signals we get information from in face-to-face or telephone communication… like vocal inflection, vocal tempo, smiles/frowns and hand gestures. When we read we almost always see things first through our own feelings, needs and experiences. Then, if email empathy is one of our strong-suits, we make a leap of faith (which usually happens without even knowing we are doing it), to guess (using our own bias), what the other is feeling, needing and experiencing. Every email and text message we send impacts our professional and personal brand – it builds trust with the people we send them to… or tears trust down. Since up to 90% of most business communication is by email (and some text), it’s critical to our brand – and our productivity that we make sure emotion is not misunderstood in your email and text messages. With an ever-increasing importance on brand reputation and workplace efficiency, email etiquette and email writing style is continuing to be a business priority. So, lets take a look at an email etiquette example to see one way we can improve. Let’s do some quick math. 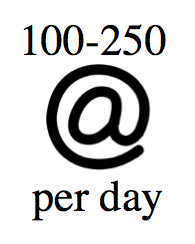 If a person has to follow-up on 20% of the email they send and they spend only 2 hours/day on email. In 1 week (5 days), they would spend an additional 1 hour and 30 minutes at work writing even more follow-up email. To these people, I say, “I can give you back almost all of that 1 hour and 30 minutes… so you can get home to your family and friends – or ball game or….” And at the same time I can also improve your reputation with your customers, your suppliers and your boss. All of us have received an email that looks like this. I call this an email brick. This is a follow-up email regarding the international payment processing project proposal. We are still expecting to meet the development schedule of 12 months. Are we on schedule? Marie and I had a very productive meeting and she recommended I connect with you regarding the literature status. Please insure I have all background information and send me a detailed update of key milestones. Was the issue we connected with last month fully resolved? I assume it was. I’ll need to know by next Tuesday about the key milestones update. What are the chances the writer will get the information they want? Very little because their needs are scattered throughout the message – and there’s a lot of unimportant even confusing information. Confusion almost always leads to follow-up email, increased tension and a wasted time at work. But what if the writer took a moment to clearly ask for what they really needed. What if they wrote an email that looks like this? I’m following-up regarding the international payment processing project proposal. Marie Laplander recommended I connect with you regarding the literature status. I am presenting to the board next Wednesday so please send me the milestone update by Tuesday. We are still expecting to meet the original development schedule of 12 months. I really appreciate your help John. Please call me with any questions at 416 555 1111. It’s also almost 100% guaranteed that Pat will get the information they need from John– when they need it… without need for follow-up email, AND John will feel appreciated working on this for Pat. Lets stop sending email bricks. We owe it to ourselves and our reputation and our families to take the time to save time. The idea that ‘I don’t have time’ to write a clear, polite, professional email is an epidemic we can cure. Happy email etiquette and time management training.